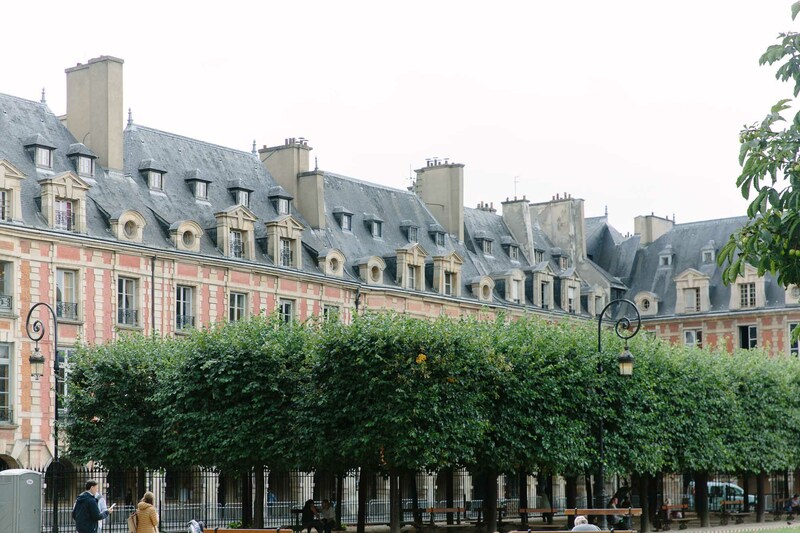 Popping back in with a few more photos from my summer trip to Paris! 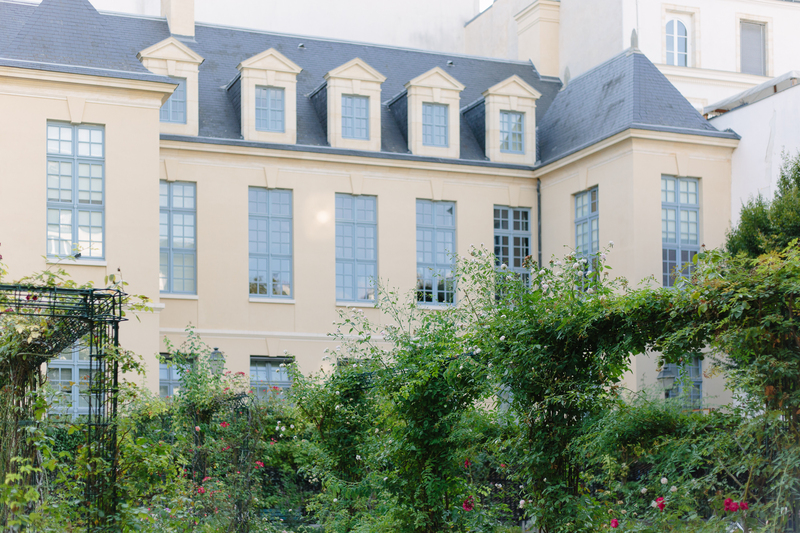 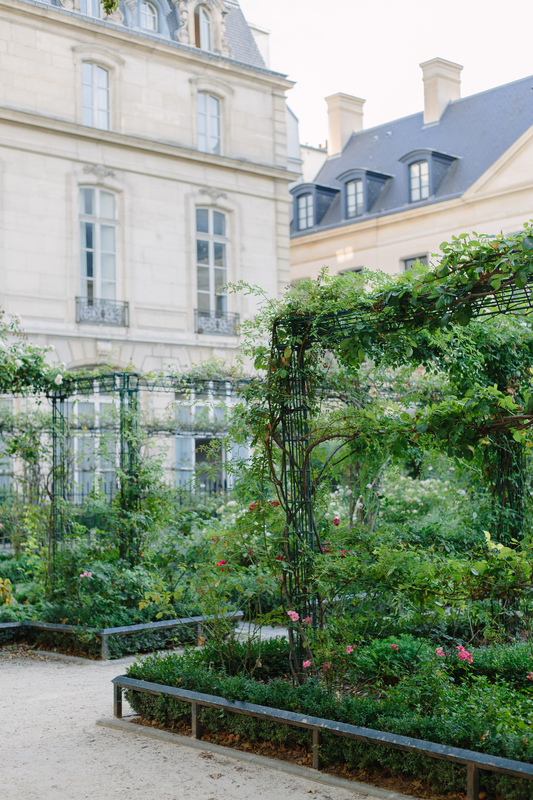 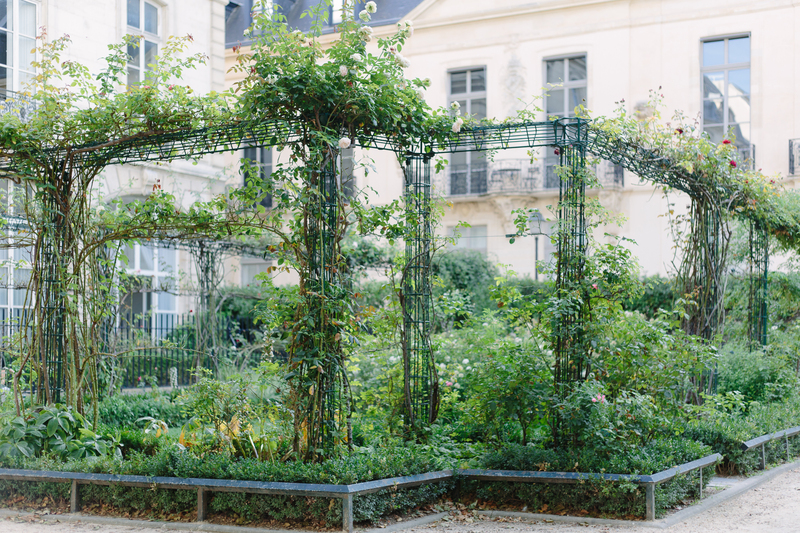 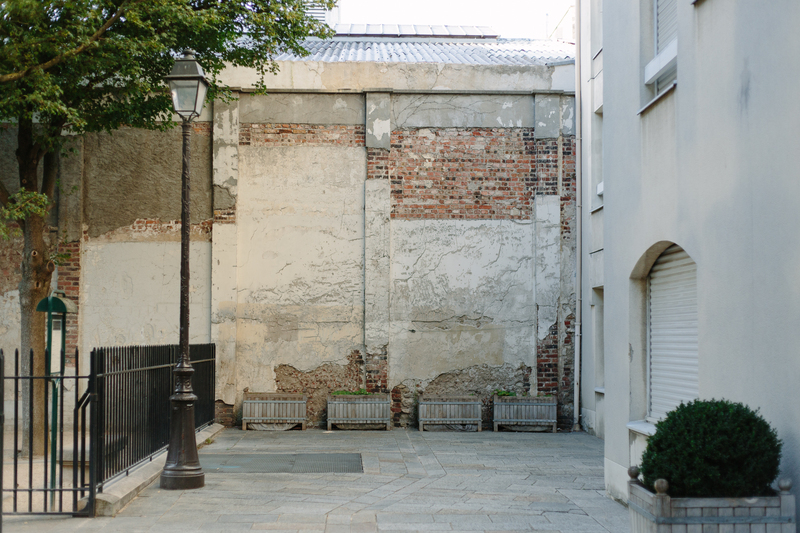 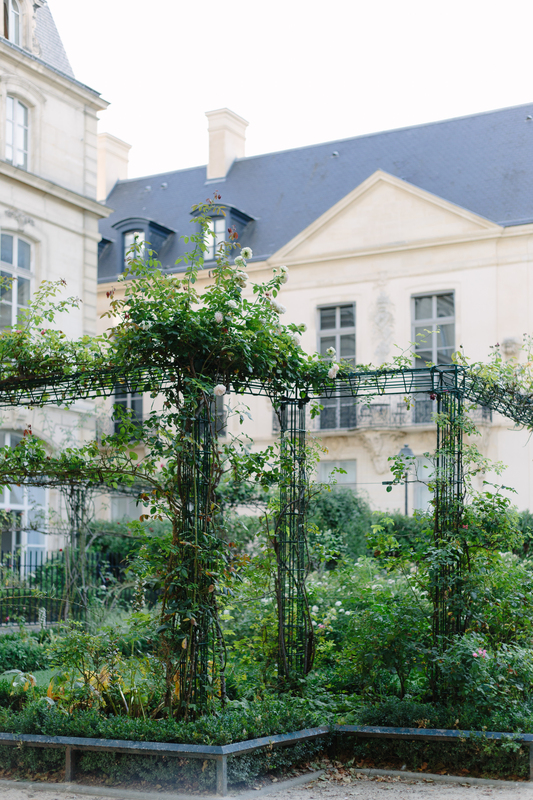 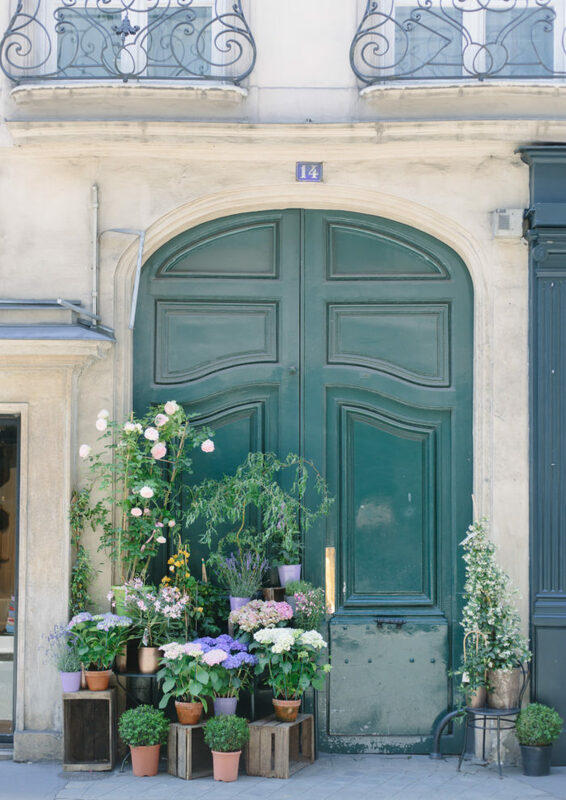 On our first day we wandered to the Square Saint-Gilles Grand Veneur, this lovely, lush little square hidden away inside a courtyard in the Marais. 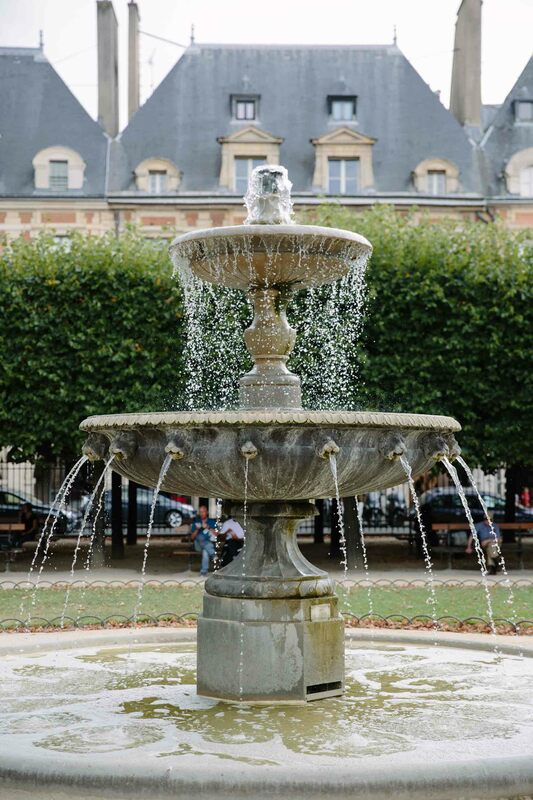 So happy we made our way to this pretty and peaceful spot. 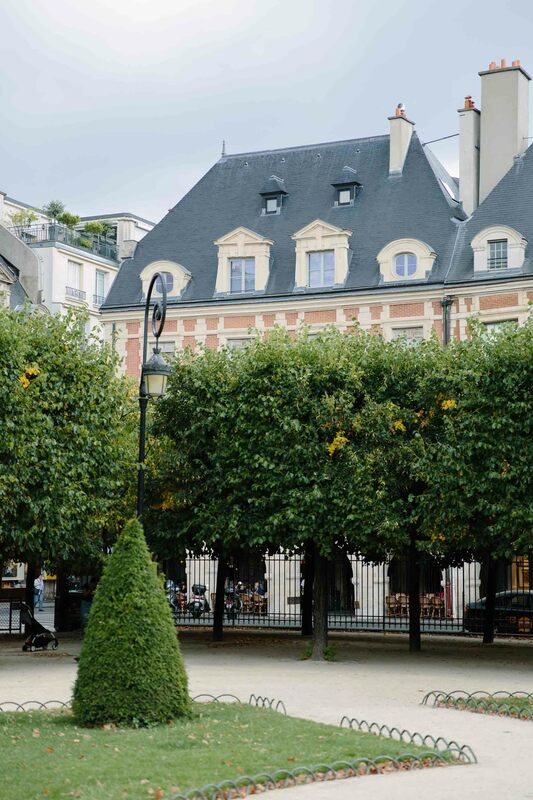 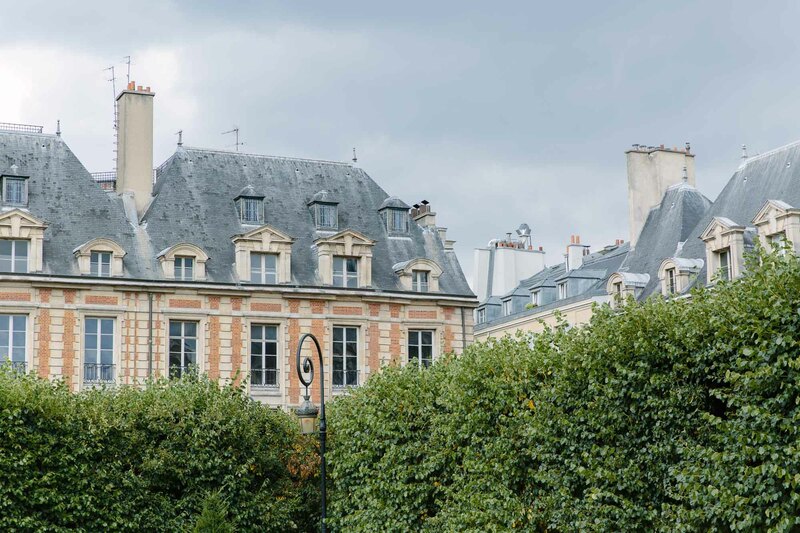 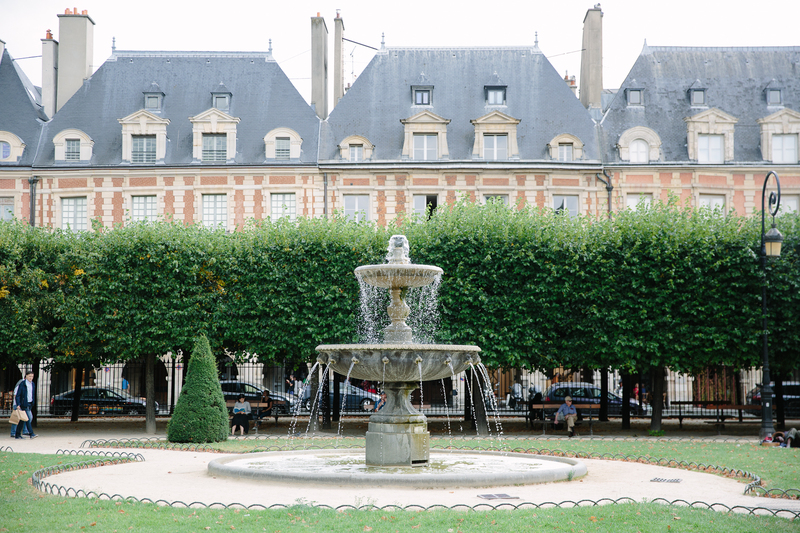 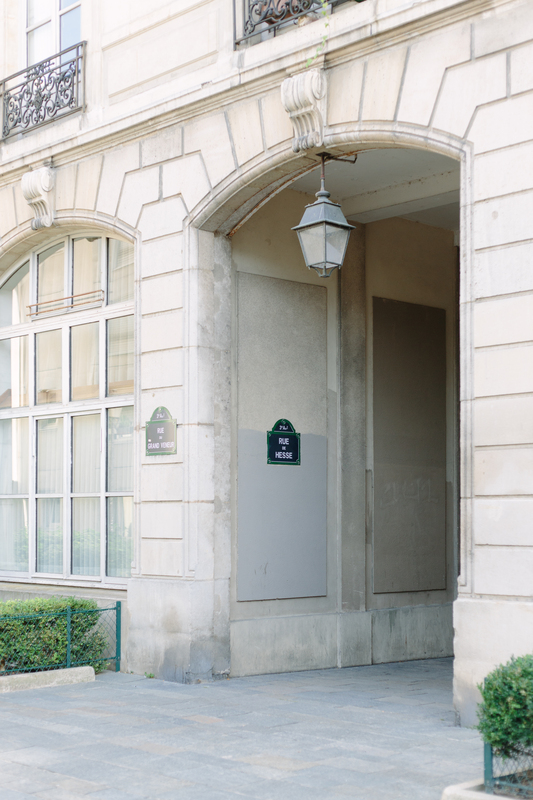 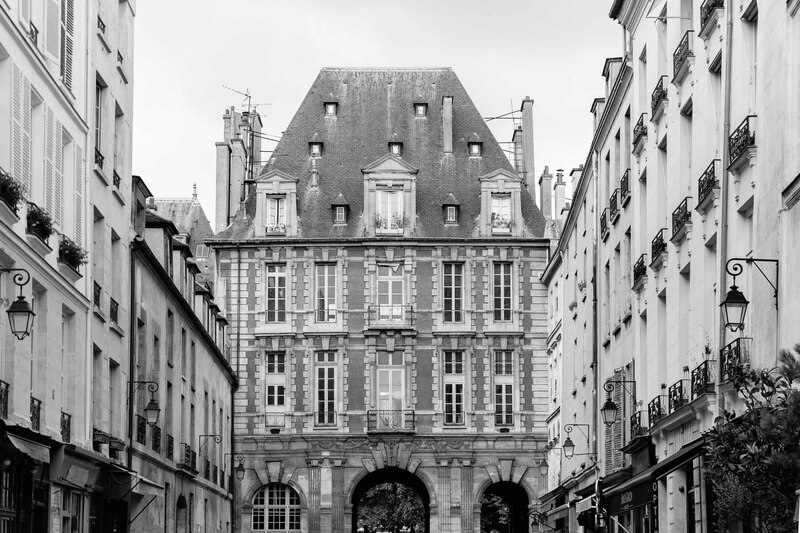 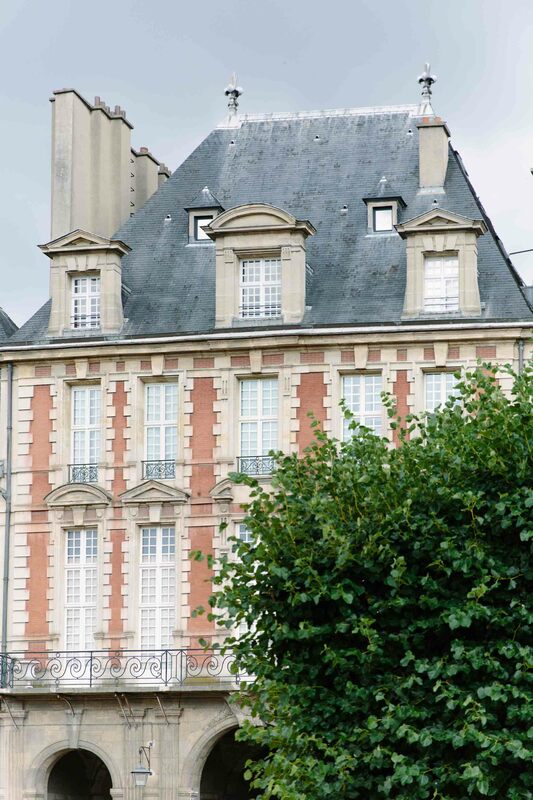 Another favorite little square in Paris – Place des Vosges. 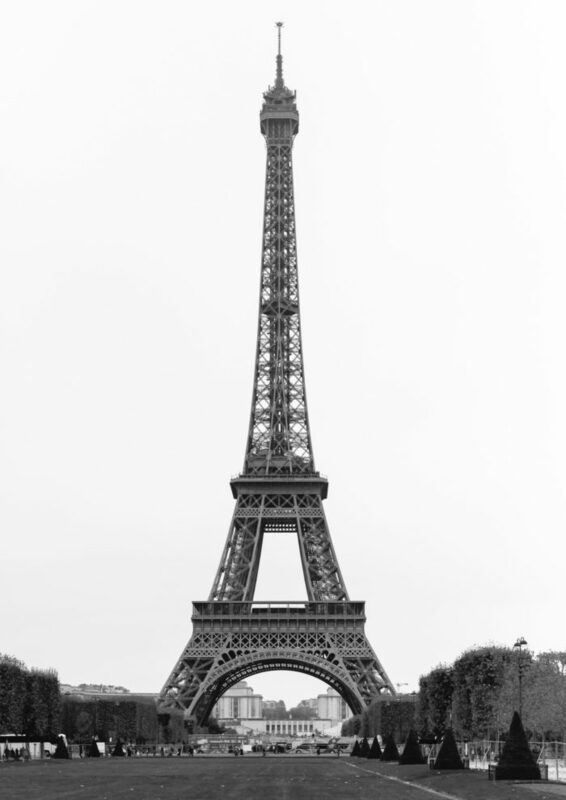 As always, you can find more Paris in my print shop!